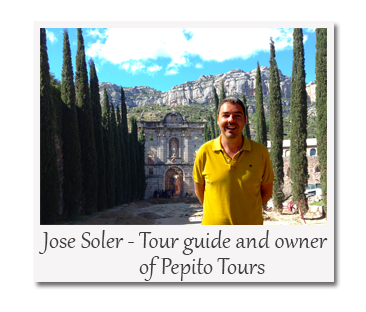 Pepito Tours | Your Barcelona guide, when you need one! 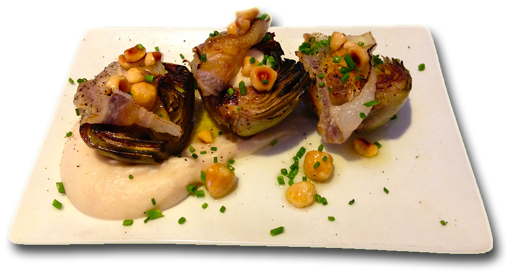 Barcelona: a vibrant, ever-changing city, ancient and modern at the same time, and home of Spain's best cooks. A feast for the eyes, an inspiration for the mind, and a banquet for the palate. Only one day in Barcelona? 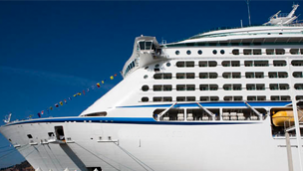 We'll pick you up and drop you off at your ship in a beautiful vehicle, and we'll skip the lines at the main sites, so that you get the most out of your time in town. Tapas are little slices of heaven. Take this tour if you'd like to round up your experience enjoying one of the world's best cuisines. ● A strictly private tour: you will be the only passengers on your tour and you’ll get all our undivided attention. ● A flexible, customized tour: we’ll suggest an itinerary but we’ll tailor made it to fit your interests. ● An efficient and line free tour: we’ll help you make the most out of your tour time, and we’ll skip the lines at the main attractions. ● A very informative tour: we’ll give you the most accurate information, help you organize the rest of your time in Barcelona, and guide you inside Museums and Gaudi buildings. ● A personable and very fun tour: let us be your friend in Barcelona! My wife is handicapped. Jose took us to see all the sights and made sure that it wasn't too strenuous. We enjoyed every minute of the tour and of his informative comments. Highly to be recommended. The only way to see Barcelona! We were extremely happy with Jose. He was very personable, timely and the perfect host. Couldn't have asked for anyone better. He will go as fast or slow as you want. We really enjoyed his personal knowledge of living in Barcelona and growing up there. 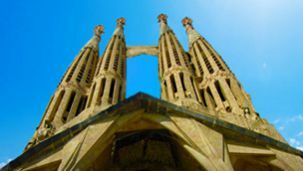 Take this fantastic chauffeured private tour if you are looking to get the best overview of Barcelona's 2000 years of history, including the charming Gothic Quarter and Gaudi's most important works. 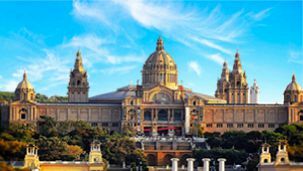 Choose this private chauffeured tour if you are looking to be picked up and dropped off right at your ship and be shown the highlights of Barcelona in a few hours and without waiting in lines at the busiest sites. 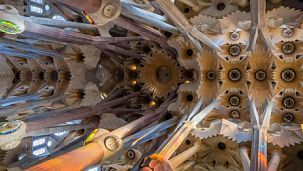 Experience Gaudi's irresistible architecture in style with this fun and informative chauffeured tour of his most brilliant works. Skip the lines at the Sagrada Familia church, the Casa Mila “La Pedrera”, the Casa Batllo, or the Park Güell. Take this private walking tour if you'd like to explore the center of Barcelona on foot, and you just want to take one city tour. Take this key, line-free private walking tour in the Eixample district if your interest is mainly in Gaudi and Modernism and prefer a walking tour. 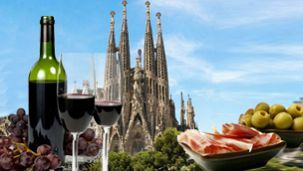 Pick this tour to discover the secrets beyond Gaudi's most outstanding buildings, including his famous Sagrada Famila church, and to savor Barcelona mouth-watering “tapas” and excellent wines. 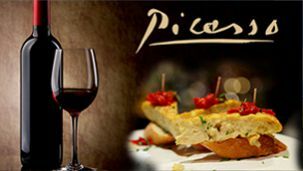 Take this fun private walking tour if you are a foodie and would love to combine learning about the city's Roman and Medieval history and the Picasso Museum with sampling our excellent gastronomy and local wines. You can't go wrong with this tour! 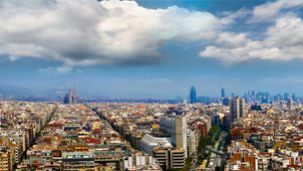 Take this fascinating walking tour of the Gothic Quarter, Raval, and Born districts to understand the evolution of Barcelona from its Roman origins through the Dark Ages, to the demolition of the city walls in the 19th century. Step back in time to the 14th century and explore the city's fascinating Jewish heritage during your walking tour of the old town. Visit the ancient synagogue or find Hebrew inscriptions in unexpected locations as we explore the city's oldest quarter. Are you a Museum lover? If you are, don't miss the Picasso and the Miró museums during your time in Barcelona and let us guide you through the life and works of these two talented Spanish artists. 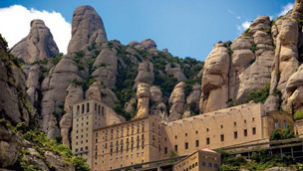 Don't miss this chauffeured private tour to the gorgeous mountain and monastery of Montserrat and enroll in a fascinating journey through Catalonia's art, history, and spirituality amidst breathtaking natural beauty. Going to Montserrat? 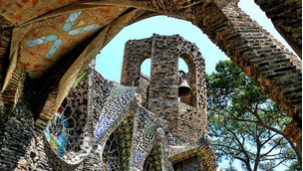 Take the chance to spend some time at Gaudi's Colonia Güell on the way. Step back in time a hundred years into the flourishing industrial society that made Gaudi's works possible. Interested in the figure of Ignatius of Loyola, founder of the Jesuits? Find out more about his life and legacy on this chauffeured tour to the Cave of Ignatius in Manresa and the sanctuary of Montserrat. Can't decide between the mountains or the sea? Do both! 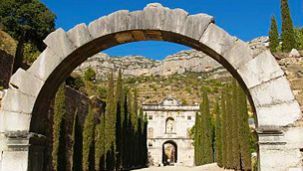 Explore the mountain of Montserrat and then spend a glorious and relaxing afternoon in Sitges, a lively town of white washed houses, sandy beaches, and cute little shops. Spend a great day out of town! 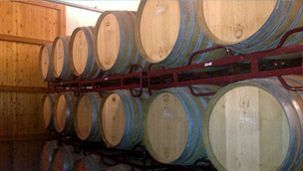 Indulge in the Penedes wine country after a memorable morning at the mountain and Monastery of Montserrat. Do you wish you had more time to fit in everything you'd like to see? 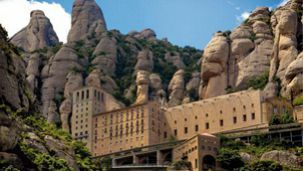 Combine a city tour with Montserrat, the two most popular destinations, into one day of great fun and adventure! Are you a wine lover? Lucky you! 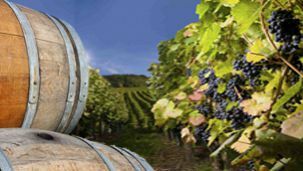 The exciting Penedes wine region is only one hour south of the city, and spending a day in the wine country can be the perfect addition to your Barcelona vacation. Do you fall for medieval towns or have an interest in Jewish Heritage? 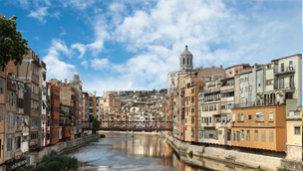 You'll love seeing Girona, a lively town with all the charm of its ancient days, and the buzz and excitement of the modern times. What was Dali really like? What was inside his Surrealist mind? 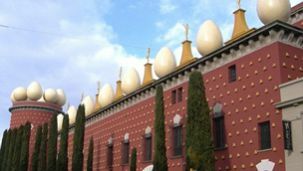 Be ready for the unexpected on this trip to the fascinating Dali Museum in Figueres! 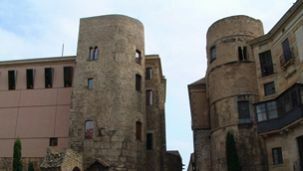 Travel back in time to the Middle Ages on this tour to quaint Girona before plunging into Dali's surrealist universe at his amazing Museum in Figueres. Do you absolutely love the Mediterranean? 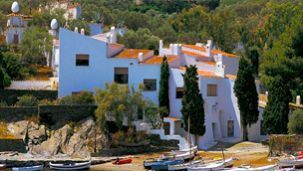 Spend a placid afternoon in the postcard-pretty Costa Brava after our exploration of Girona's splendid medieval heritage. 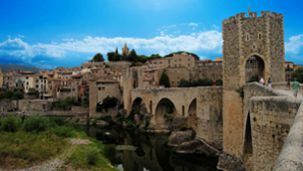 Explore the region's rich Jewish Heritage on this tour of Girona and Besalu. 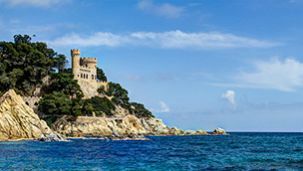 Learn about this important piece of Catalonia's history puzzle while exploring some of our most picturesque towns. Can't resist Dali's magnetism? Would love to see where he lived, his studio, where the recurrent rocky landscapes in his paintings come from? 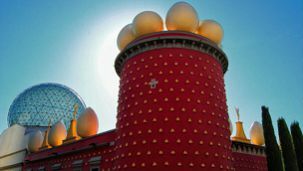 Then take this Dali Tour! Can't decide between a day trip to Montserrat or one to Girona? 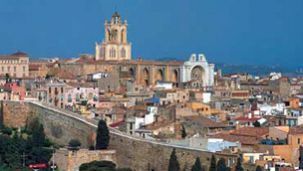 You will no longer have to choose between visiting the breathtaking mountain and monastery of Montserrat or exploring Girona's absolutely beautiful medieval quarter if you take this full day tour. 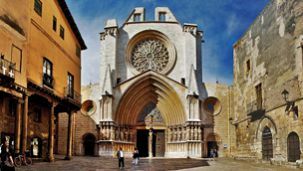 Take this tour to southern Catalonia and immerse in ancient history as we walk Tarragona's cobbled streets and unveil the city's splendid Roman heritage. Thinking of spending some time by the water? 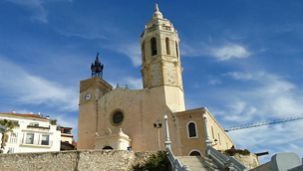 Just head to Sitges, a beautiful coastal town south of Barcelona for a relaxing morning or afternoon. 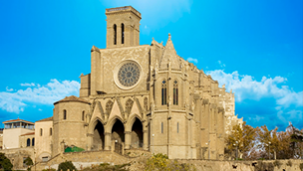 Mix exploring Tarragona's fascinating Roman heritage with enjoying Sitges' many charms! 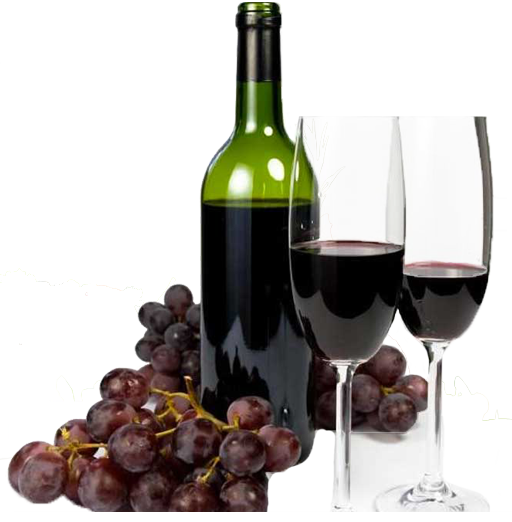 Do you love intense, mineral red wines? Come to the Priorat, a secluded region of pristine natural beauty, and the birthplace of some of Spain's best wines. Do you have limited time to spend in Barcelona? 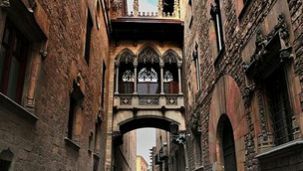 Take this chauffeured tour if you'd like to get an excellent overview of Barcelona's 2000 years of history in half a day. 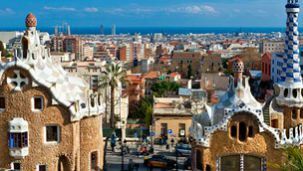 The four hour Barcelona Highlights private tour is a chauffeured tour with both driver and guide covering Barcelona's main attractions. 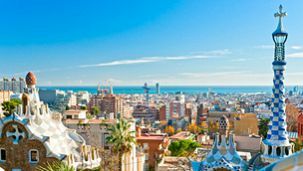 We can see the Gothic Quarter, as well as Gaudi's main works, such as the Casa Batllo, the Casa Milà “La Pedrera”, or the amazing Sagrada Familia church, plus your choice of either the Park Güell or the hill of Montjuic. We can pick you up at your hotel, ship, or at the airport, and skip the lines so that you have a convenient, comfortable, informative, and fun tour. This is a great two day itinerary to cover Barcelona's attractions in detail. The first day we'll concentrate on Gaudi and Modernisme. On this chauffeured tour, we'll explore the Casa Batllo, the Casa Mila “La Pedrera”, the Park Guell, and the Sagrada Familia. 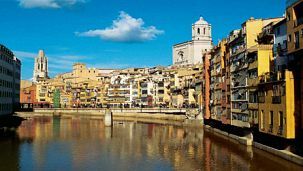 The second day you'll have a walking tour of the Old Town and you'll discover the different sections in which it's divided: the historical Gothic Quarter, the vibrant Born, and the ethnic Raval. 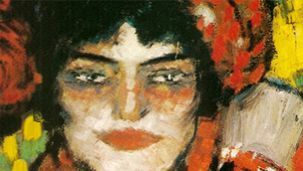 If you are up to it, we can also explore the Picasso Museum this day and spend some time at the Boqueria Market, one of the world's best food markets. Choose this pack if you'd like to explore the surroundings on your second tour. 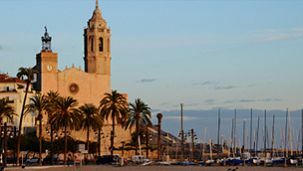 The first day we'll show you the city's main attractions during your exciting Barcelona Highlights Chauffeured Tour. 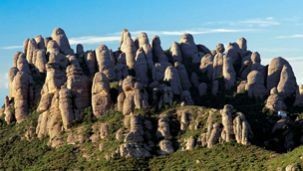 We'll take you to Montserrat on your other day, which is a gorgeous mountain and monastery located just one hour outside Barcelona. Go for this combination if you'd like to spend two days in town and one outside, and have the afternoons free for you to continue exploring on your own. The first day we'll concentrate on Gaudi and Modernisme. 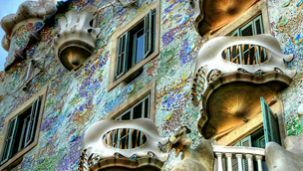 On this chauffeured tour, we'll explore the Casa Batllo, the Casa Mila “La Pedrera”, the Park Guell, and the Sagrada Familia. The second day you'll have a walking tour of the labyrinthian Old Town. Montserrat is a perfect choice for your third day. Few places combine natural beauty, art, and history so beautifully.